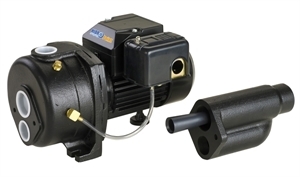 Cast Iron Convertible Well Jet Pump equipped with a 10' 3-prong grounding-type power cord. The maximum flow rate is up to 75 GPH. Copyright © 2019 HidroPoint Store. All rights reserved.